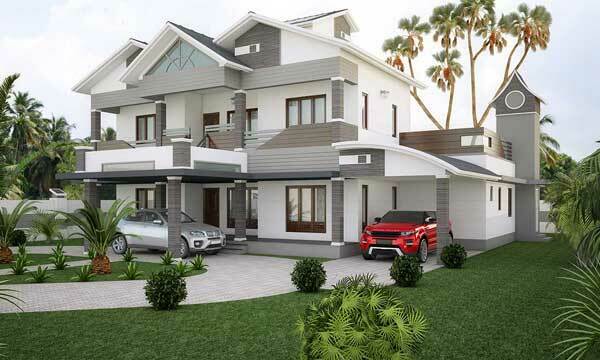 The perfect example of a contemporary residence. 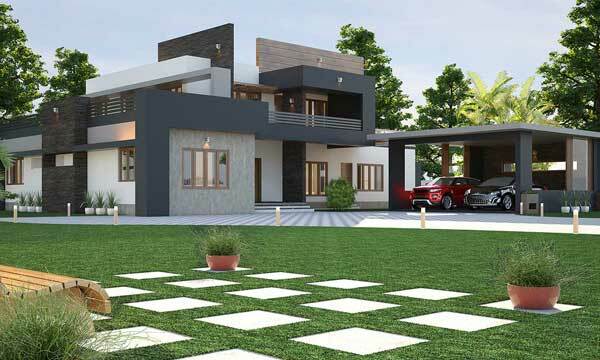 Located in Kothamangalam, this home captures the very essence of contemporary architecture style in each of its design features. 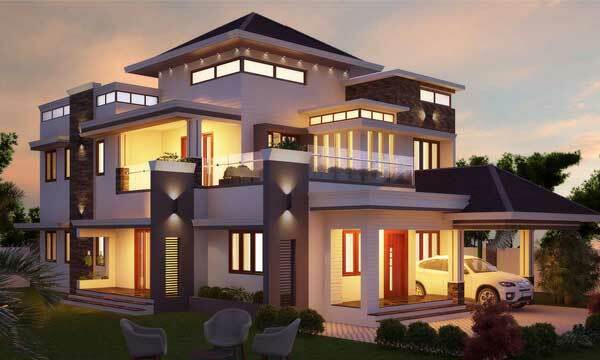 From the multiple terraces to the projected balconies, to the marked level differences in the roofs, all beautifully portrays this modern day architecture style. 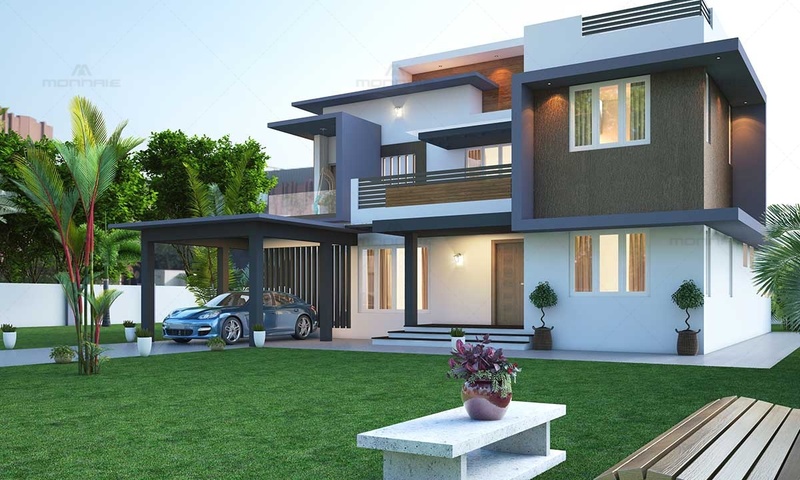 Being one of the best architects in Kerala, we have ensured that the building forms an extension to the exterior landscape. The wooden cladding and the coffee brown texture creates a rustic charm to the existing modern style. The vertical pergolas and the horizontal railings beautifully done in mild steel gives the home its curb appeal. As the leading architects in Ernakulum, we have given equal importance to the tiny details from the balanced window positioning to the sleek glass railings on the corner balconies. 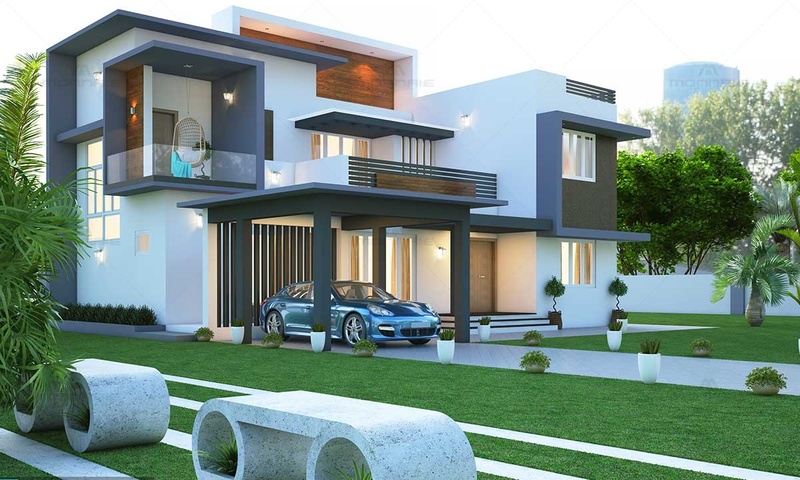 On whole the house adheres to all the principles that defines the contemporary style – its simple aesthetic, clean lines, minimal clutter and neutral colour palate.